This is a very simple, yet extremely flavorful, chicken and rice soup. 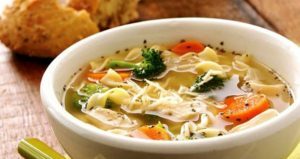 There is a slower, more traditional way to make this soup, but I am looking out for the mom on the go that wants a quick step here. You can also use chicken breast, but I like bone-in because it is loaded with flavor. I also used a pre-made chicken stock. Swanson’s makes a great one. You can use 2 cups of noodles instead of rice, if you like. It’s all about your preference and keeping things simple. Feel free to get creative when making this soup. The more vegetables (fresh or frozen) you add, the better and more flavorful it will be. Place leftover chicken and the next 7 ingredients in a large soup pot, and bring to a full boil. After 10 minutes, remove the chicken from the broth, let it cool, and separate the meat from the bones. Continue simmering the soup for about 15 minutes. Add rice, and cook on low heat for the last 10 minutes. Taste the soup to make sure the rice is soft and cooked. Once it’s done, remove from heat, add the diced chicken to the soup, and enjoy! Super simple and full of healthy ingredients! A very simple, yet extremely flavorful, chicken and rice soup. A great time-saver for the mom on the go. 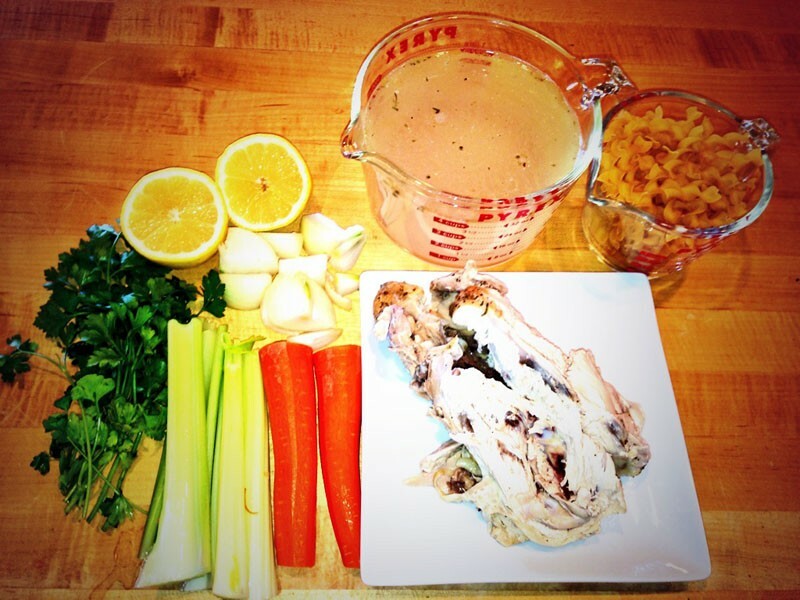 Place leftover chicken and the next 7 ingredients in a large soup pot, and bring to a full boil. After 10 minutes, remove the chicken from the broth, let it cool, and separate the meat from the bones. Continue simmering the soup for about 15 minutes. Add rice, and cook on low heat for the last 10 minutes. Taste the soup to make sure the rice is soft and cooked. Once it's done, remove from heat, add the diced chicken to the soup, and enjoy! My daughter arrived home from college with some friends & this delicious chicken soup was a big hit! I had all the ingredients at home, just needed a great recipe, thank you so much!